Protecting your home with the use of digital devices is the trend of tomorrow. The technology has today blessed us with ample gadgets that are used to handle our day to day tasks. In all, the home security has become a major concern. The days are gone when you stay relaxed by using physical lock system in your home. High-Security Level: You are always bothered about home security whether you are currently residing or are out. Home security control with your smartphone has made it easy to deliver high-level security. The smart locks are easy to handle via smart gadgets and can be kept with you always. 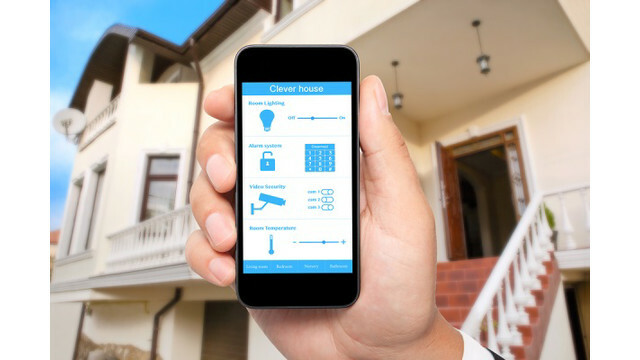 Smart Locks, Lightning system and other electronic gadgets can be easily operated via smart gadgets. Increased Convenience: Operating your home devices with a single gadget will always add convenience to you. Commanding different home system with your mobile will be easy and highly convenient. You will not encounter any hurdle controlling your home on your fingertips. Different apps are used to control different home systems without any issue. Time Saver: Using Smart mobiles to control home safety is obviously be a time saver. In today’s busy schedule, it’s hard to take care of all the security corners of your residence. On the other hand, when people move from one place to other, smartphones are the best means of home security control. Deliver Peace of Mind: Home security is more than a mental tension nowadays. For all residents who leave their house obsessively will always find the peace of mind with smartphone usage for home security. Even if you have wealthy items in your home, smart security system enables you to care them easily. Keep Eye on Children: Having multiple rooms with your children playing out of your sight makes you a bit tensed. With smartphones, you can track the activities in different rooms and attend them accordingly. The smart camera kit transfers data to your smartphone in real time. Along with home safety, you will also heed on your kids’ activities. Today, there are numerous smart devices that can be operated via smartphone. Smart Locks, Smart Camera, Smart alarm system and many such home security equipment are available in the market. In the coming decade, all your worries regarding home security will be resolved via smartphone. Your phone is going to be your unforgettable companion with countless benefits. So, if you are planning to own a luxury house with a smart security system, this blog will help you find the benefits of using home security system. The wave of smartphone usage as remote is booming with the passage of time.